Whether you are struggling to settle a family dispute or having difficulties in business, Alternative Dispute Resolution may be a cost-effective and time-saving means of bringing the dispute to a close. Alternative dispute resolution saves both time and money as well as avoiding formal court procedure which many find particularly stressful. Singapore is widely held as one of the biggest dispute resolution centres in the world, and Alternative Dispute Resolution (ADR) is an important part of the legal system. Singapore has a reputation for fairness, impartiality, integrity and highly capable lawyers to encourage the ADR system. ADR is not only a useful means of supporting the court system but is also incredibly beneficial to the parties to a dispute who choose to resolve their legal issues outside of the courtroom. Parties can save both time and money by using ADR methods to come to an amicable agreement, whilst having the security of the agreement being legally binding and confidential. Here at GJC Law, our lawyers are highly skilled mediators and can assist you in bringing your difficulties to a close. At a mediation session, the parties to the dispute come together with an independent and impartial person known as a ‘mediator’. The parties then, with the help of the mediator, attempt to resolve their dispute. The mediator will assist the parties in understanding the problems and issues and also encourage the parties to talk to each other to come to a reasonable settlement. The mediator will not take sides, nor offer legal advice to either of the parties. Mediation can be used to solve all kinds of disputes and is particularly useful in family, workplace and commercial matters. Around 80% of cases that go to mediation are successfully settled at mediation stage and do not require to go to court – saving the parties time and money. We understand how difficult the thought of going to mediation may be, and our team aim to make you feel as comfortable as possible. 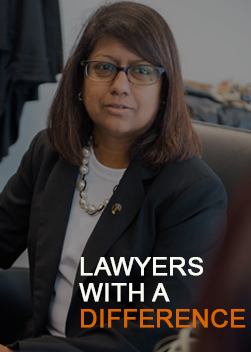 Ms Gloria James-Civetta brings a unique perspective to the mediation process derived from 20 years as a practitioner, representing both plaintiffs and defendants. 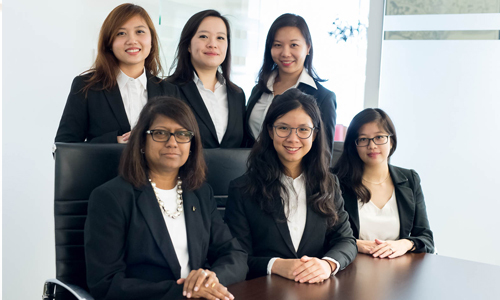 As a certified Associate Mediator at the Subordinate Courts of Singapore and the Singapore Mediation Centre, Gloria has presided over numerous cases with successful resolution for most. Contact us for professional advice and assistance with mediation. The mediation process in Singapore is reasonably straightforward, and from the outset, both parties to the mediation must agree to cooperate fully throughout the mediation process. Mediation should be viewed as an organised process of negotiation between parties to a dispute and as such, is an excellent tool for settling both family dispute and business disputes. Mediation may be regulated by a mediation agreement, which sets out how the parties must conduct themselves throughout the mediation. This is a useful tool for ensuring certainty and efficiency and our lawyers can assist you to ensure you get the most out of mediation. Mediation may also be carried out by the Singapore Mediation Centre. If you have entered into mediation in this way, our specialist lawyers can help guide you through the SMC process. We can also help ensure that you are well prepared and advised to participate in mediation negotiations. This can make all the difference to the outcome of your case. Our team act as both mediation lawyers and neutral mediators, so regardless of whether you need someone to fight in your corner, or act impartially to settle a dispute, we can help. Contact our specialist team today. Alternative Dispute Resolution can be an especially useful tool for resolving issues in business. If you find yourself in a business dispute in Singapore, negotiation is a possible form of alternative dispute resolution that you may wish to consider. Negotiation allows parties to discuss the issues they are facing and come to a practical resolution that works for both parties – without the interference of the courts. A decision in court does not give parties the same level of flexibility to end the dispute on their own terms, but negotiation allows you to come to an agreement that makes commercial sense for both sides. If you are involved in a business dispute, you should seek proper legal advice from our specialist lawyers who may recommend using mediation to resolve your dispute. At GJC law, we understand that confidentiality is key, especially when you are involved in a business dispute. Mediation is the preferred form of dispute resolution when sensitive issues arise, as confidentiality is an inherent part of mediation. Contact our specialist mediation team today to find out how we can help you. Here at Gloria James-Civetta & Co our expert team of mediation experts can provide you with the quality advice and representation you require to get results. We understand that the procedure may seem complex, and discussing your dispute may feel intimidating, but we work with our clients to explain the process clearly and concisely in language, they understand. We provide advice and representation to make you feel comfortable, and can assist you regardless of the complexity of your case.